Here you will find my Amazon's lists, a compilation of cool products which also happen to be my favorites. All I want is for you to succeed in every dish you make. If I think you will love an item because it will help you in doing exactly that, I'll let you know here! To take a peek of all the lists visit my featured page at Amazon. So, you decided to take your cooking to the next level. I'm super happy right now! Lift your hand and let me give you a HIGH FIVE!!! But believe me, I know how a simple task could end up being surprisingly frustrating just by not having the right tools to do it. Nothing like using the right tools for the job. I promise you, with the proper gadgets everything will be easier, faster and precise, and you will be asking yourself why you didn't buy that before. In my Amazon featured page I just added the basic tools any home chef like us must have. From immersion blenders to cutting boards, whisks and measuring spoons, these are the kitchen basics you will need to keep on making wonders with your food. Here are some of my favorites but go ahead and visit my Amazon page for the complete collection. I can't wait to know which ones are your favorites! This immersion hand blender probably was one of my first small kitchen appliances. Besides making creamy soups, I can't tell how my "mashes" game got to another level. Mashed potatoes, mashed sweet potatoes, sweet plantains mash, you name it! This is also what I use to whip some egg whites for my lemon cream cheese pancakes and vanilla crispy waffles, thanks to the whip attachment included so no need to bring up large or heavy appliances for a simple task. A total multitasker!! Oh yes!! You need a few of these in different sizes ASAP! A whisk will become you secret weapon when making curds or a Bechamel. It will also help in sifting flour when mixing with other dry ingredients. Beat your oil and vinegar with a whisk and the result will be a super light vinaigrette. I like these with the silicon handle because your hand will not have to squeeze extremely hard. For the wire I prefer stainless steel but you should have around a silicon one for using with your non-stick pans. 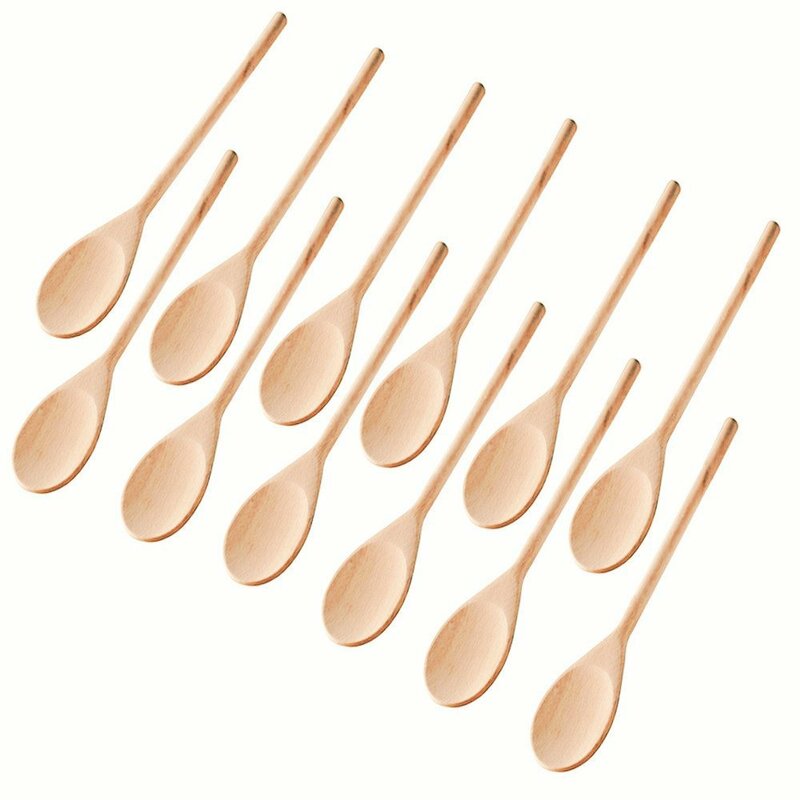 The humble wooden spoon. Yet so necessary in our kitchens! It's the perfect partner for the whisk. You want to have a few of them as well. I have a couple for savory cooking and another set just for baking and sweets. Prefer the ones that are mostly flat without too much edge and are made out of wood, not bamboo. Check out the complete essential kitchen tools for everyday tasks list here!